With a touch of hippy and a whole lot of gorgeous the magnolia is a fresh take on a long sleeve gown and set to be an instant favourite. Crochet lace give this gown a fresh feel perfect for those wanting a vintage style with modern touches. 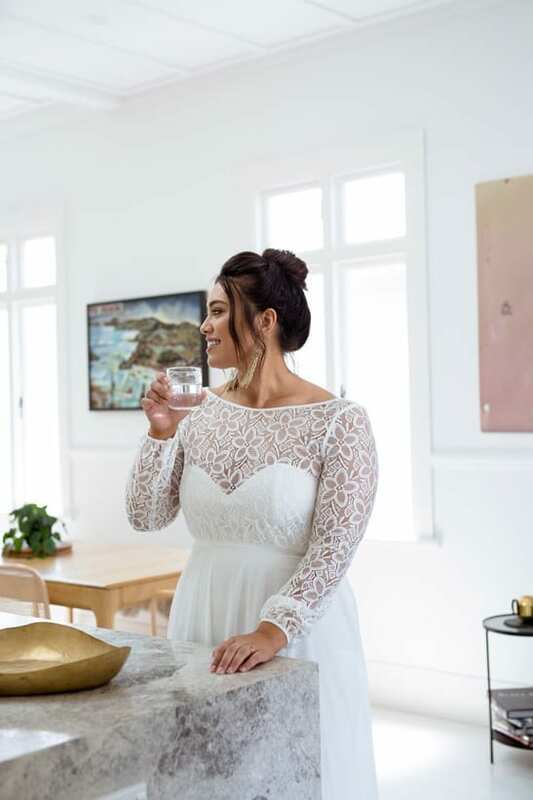 Featuring a modern floral crochet overlay, button cuff sleeve and relaxed A- line skirt, this gown is floaty, relaxed and fun. The Skirt flows from just above the waist and is flattering on almost all body shapes helping to create long flowing lines and accentuate the waist without being to form fitting. The sleeves are slim but not fitted giving an air of casual cool. This gown was made to move! The back features gorgeous covered buttons and a deep V sitting in the middle back. 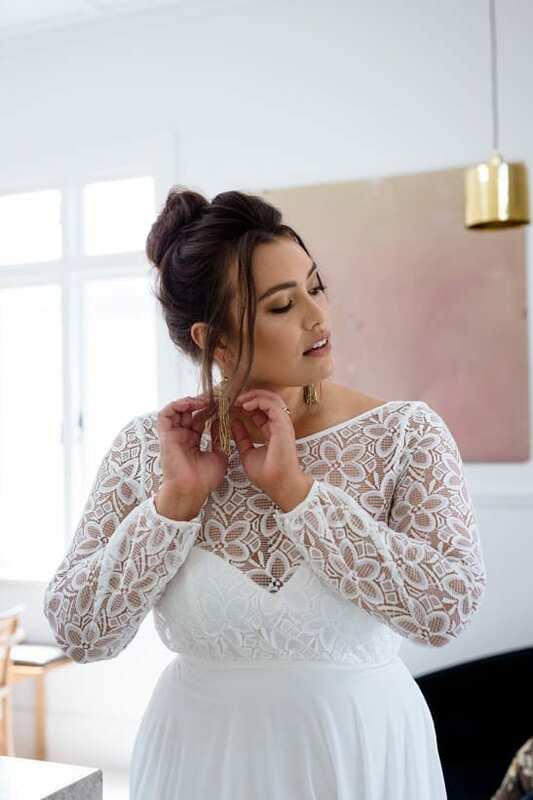 The cut allows undergarments to be worn if preferred however an illusion neckline and fitted bodice mean most brides are comfortable without. As such a classic and timeless style, the magnolia is appropriate for any occasion, from a quiet backyard gathering, to a traditional church ceremony. Pair this with a beautiful pair of wedding sandals for a relaxed ceremony or dress it up with some statement jewellery and a simple heel to up the glam!